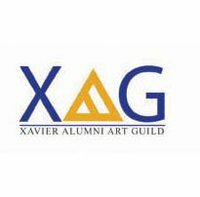 Recently, we've been active in an art group called the XAG or Xavier Alumni Art Guild. It's the very first of its kind and the pioneering group for Xavier School's artist community. We'll be having an exhibit sometime soon, although details are not yet set in stone. I believe the schedule right now is set for a date in April at the Sining Kamalig Art Gallery at Gateway Mall. What's really interesting about this gathering of Xavierians is the amount of participation gathered into a single purpose. The Gallery owner, group management, and even some writers and graphic designers are all Xavierians. It's a proud honor to finally see that my school for 13 years finally has a great base of alumni supporting an artist group. Me and my dad; Seb Chua from the Artasia Fine Art Gallery will also be a part of the exhibit. We'll be showing some of our newer contemporary sculptures and paintings throughout its duration. I'm currently working on some of the pieces that I'll be unveiling for the show. The media for works to be showcased during the exhibition will be painting, sculpture, photography, and digital art among others. Participating alumni artists are recruited across different batches as spread as 20 to 30 years apart in age (I probably contribute a lot to this generation gap). Variety in style is among the things to look out for when you guys visit the show. I'll be sure to update everyone when more details are through to me, but for now this is just a teaser for what's to come. I believe that with enough support, this group can become a truly impressive collective that can also benefit back to the Xavier Community. It can be a leap forward not only for us, but also for the younger generation of students who will now have an outlet for art once they graduate to college or even after. Xavier School Alumni's Upcoming XAG Art Exhibition this April.